Following is a sneak preview from the RealcommEDGE Magazine cover article, "Technology Leaders in The Age of Acceleration," due to hit desks later this month. Steve Lefkowitz is the Head of Global Facilities Management for Time Warner. He oversees FM operations and directs a center of excellence organization supporting delivery of hard and soft services across their diversified global portfolio of properties. He is a 35-year veteran of Time Warner where he has held multiple titles including SVP of CRE for HBO. His experience includes transactions, engineering, facilities operations and directing complex real estate construction projects. He is known as a results-driven and profit-minded executive in the corporate real estate world with the ability to manage large-scale real estate portfolios. What were your major technology projects over the last year, and what was your organizational role? 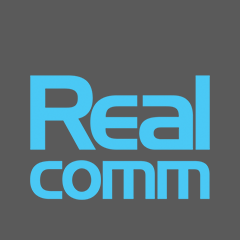 Let me first provide context by framing up our organization and the project I believe would be of most interest to the Realcomm audience. Considered a global leader in the media and entertainment industry, Time Warner has three operating divisions, HBO, Warner Bros. and Turner. There are approximately 25,000 employees and 15M square feet of property worldwide. Our journey began over six years ago with a directive to reduce our NYC real estate portfolio. We had over 2M square feet of property due to expire at the end of 2018. The strategic program led to consolidating seven buildings and ultimately reducing our footprint by 1M square feet. After an extensive discovery & programming process, we settled on partnering with Related Properties at Hudson Yards, the popular emerging market in mid-town Manhattan. This new neighborhood is being constructed over existing rail yards. There will be 16 towers including commercial, residential and retail space. In terms of scale, it is the largest private real estate development in U.S. history. The site at 30 Hudson Yards is a 1290 ft. 90-floor skyscraper. We will be occupying more than half of this tower and have designed it as a building-in-a-building to control our own core critical systems. Our mission-critical businesses are dependent on our ability to operate with five nines of reliability requiring our building infrastructure to be state-of-the-art and driven by smart building technology. Partnering with our information technology team early in the process was of paramount importance. Utilization of our enterprise-wide networks, four corner WiFi and cyber security protocol are all vital components of our smart building program. Tell us about your challenges and decision-making process. With a booming market of smart building technology providers, the challenge for us was to clearly understand the key elements and decision points needed to implement the program. After a trip to a CoRE Tech event with some of our subject matter experts a few years back, smart building technology became part of our daily vocabulary. The event enabled us to identify and assemble the teams of experts needed to fulfill our vision. We crafted a compelling business case wrapped around energy savings, operating efficiency, environmental responsibility and employee health to help justify the funding needed for our smart building. Quite frankly, it would be irresponsible to construct a new building today that isn�t technologically savvy. As our new home develops, our core electrical, mechanical, life safety and mission critical systems are being wed through the services of a master systems integrator (MSI) focused on satisfying specific use cases that target our savings and efficiency objectives. Continuous commissioning, reduced HVAC wasted run time, energy savings, extended equipment life, improved air quality, occupant comfort, lighting control and occupancy awareness are just a few of the benefits we anticipate. Thousands of sensors and probes will be bringing back a wealth of data that will be used to responsibly keep our buildings living and breathing. Our goal is to rely more on building intelligence to tell us what the building needs and when it needs it. 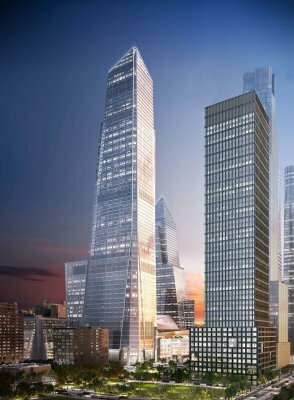 We�re now set to move more than 5000 employees including our CNN Broadcast Operations and HBO Digital Media Productions unit to 30 Hudson Yards in 2019. What are your highest priority technology initiatives in 2018 and what are the drivers behind those initiatives? Essentially, 2018 has become an all hands-on deck effort to deliver this unique space. As we strive to complete the installation of our smart technology, our work will be centered around finalizing graphics, user interfaces, use cases and fault detection diagnostics. Technically the possibilities are endless; therefore, developing use cases (e.g., utilizing occupancy sensors from the lighting control system to change local BMS controls from occupied to unoccupied modes) will keep us focused on high value solutions that align with our organizational objectives. We will be selecting the appropriate fault detection diagnostic software (or building system analytics) to help intelligently manage the wealth of data generated by these smart building systems. Data for the sake of data is useless. It needs to be actionable. Ultimately, by automating tasks and sequences, we intend for our smart building to communicate directly with our work order technology: assign work tickets, drive preventive maintenance and in some instances actually make system adjustments. Throughout 2018 we�ll be running checks and balances, fine tuning cyber security and ensuring that all systems on our converged network properly communicate to satisfy our use cases and sequences of operations. We will also be bringing all this data to a single user-friendly dashboard. Training and empowering our FM work force to take advantage of this wealth of building information will be a high priority in 2018. In some cases, we might even be converting wrench turners into technology geeks. In the end, we need to ensure all systems are properly commissioned and our teams are trained and ready for opening day. What technology/automation/innovation trends do you see having the most impact on the industry over the next three years and why? Utilization of space occupancy data for Operations is an area that�s beginning to draw attention. Today space data is predominately used for project planning of restacks and to evaluate amenity space activity. The next step for space data would be to administer operational changes. Adjust conference rooms based on occupancy levels or, on a grander scale, dynamically control systems and services based upon actual occupancy. The reasonable cost of sensor technology with wireless battery powered devices coupled with the lower price of storage will continue to push the volume of available building data. Mining this information to extract value will continue to be a challenge. Data analytic solutions are saturating the market, but I think ultimately it will be machine learning through artificial intelligence that will help fine tune this data. Similar to how your home Nest thermostat learns your behavior and adjusts temperatures accordingly. The industry is moving at a rapid pace. There is no longer the question about whether the technology works, because it does. The challenge is education and convincing those responsible for funding these initiatives that the return on investment will produce valuable results. Improved performance, system reliability, savings and a healthier work environment, to name a few. There is a need to empower the organization leaders that are about to take on this bold journey with tools to develop viable business cases that offer proven returns. 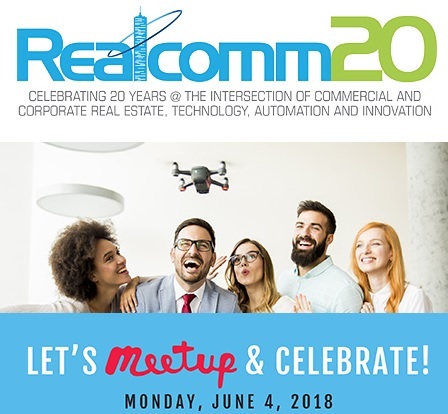 Next generation occupant experience and smart building technologies are just a few topics that will be presented, along with smart building case studies, at Realcomm | IBcon 2018, which will be held on June 6-7 (June 5: Precon) at The Cosmopolitan of Las Vegas. Register today!